Infectious diseases remain a major health problem in low and middle-income countries, including Bangladesh, and require the frequent use of antimicrobials. During the last 70 years, the development of effective antimicrobial drugs has reduced the incidence of life-threatening infections. However, that achievement has steadily been eroded by the emergence of antibiotic resistance. Antimicrobial resistance is a natural consequence of exposure to antimicrobial drugs and is not a new phenomenon, but the rate at which resistance emerges has been massively increased by the inappropriate and irrational overuse of antimicrobials in health and veterinary sectors. In 2016, the WHO-endorsed Antibiotic Awareness Week took place from 14–20 November, acknowledging the global importance of this growing public health issue. 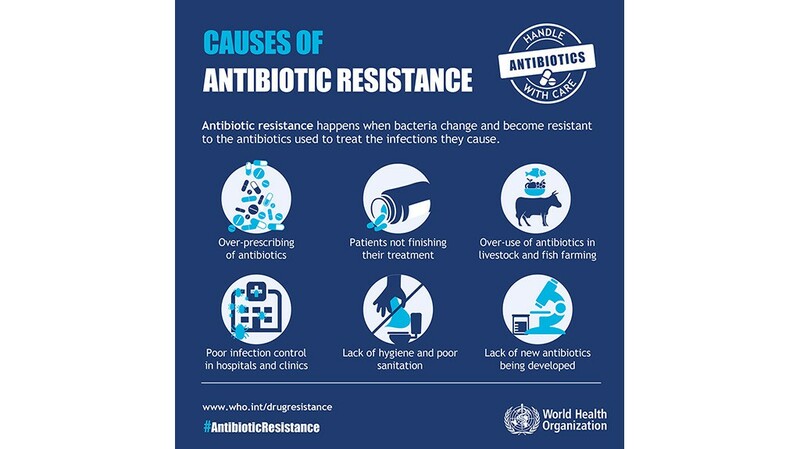 A Global Action Plan (GAP) on antimicrobial resistance has been developed and endorsed by the WHO. All countries are required to develop their own national action plan based on the GAP, and start implementing it at local level. One of the major objectives of the GAP is “to strengthen the knowledge and evidence base through surveillance and research”, and this is particularly relevant to countries where there is a lack of research. Bangladesh is one such a country where there is a severe lack of local information on AMR. A number of studies hosted at icddr,b aim to generate knowledge on AMR considering it as a One Health problem. The studies are headed by icddr,b’s associate scientist Dr Mohammad Aminul Islam, who is also a member of the WHO Advisory Group on Integrated Surveillance of Antimicrobial Resistance (WHO AGISAR). Bangladesh appears to be an important reservoir of many multidrug-resistant Enterobacteriaceae strains that are observed globally. A large proportion of community-acquired urinary tract infection (UTI) in most regions of the world are caused by a limited set of multi-drug resistant E. coli strains belonging to related lineages that harbor drug-resistance genes shared by pathogenic and environmental Gram negative bacteria. Some MDR urinary tract infecting E. coli (UPEC) strains share the same genetic lineages with those isolated from food sources, indicating the possibility of foodborne transmissions of antibiotic resistant UPEC. This project will examine the transmission dynamics of MDR UPEC in communities of Dhaka, Bangladesh to investigate how UPEC clonal lineages and their drug-resistance determinants disseminate in a human community, as opposed to clinical settings. 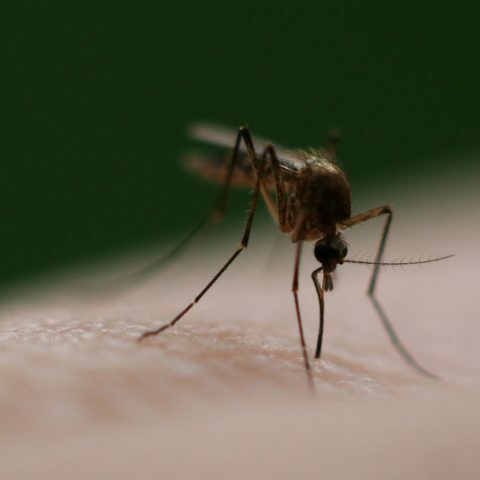 This project is designed to quantitatively determine the impact, if any, of food and food-producing animals as reservoirs for UPEC on a common community-acquired infection—UTI. Demonstration of such a mode of transmission will contribute to devising more focused public health interventions to prevent them. The environment is recognized as an important reservoir of antibiotic resistant bacteria, with anthropogenic activities such as agriculture, antibiotic residues and wastewater disposal enhancing the horizontal transfer of antibiotic resistance genes. The recent spread of New Delhi metallo-β-lactamase-1 (NDM-1) resistance genes through community and environmental pathways in South Asia has led to heightened concern about the environment as a transmission route for antimicrobial resistance to humans. Bacterial strains which carry the NDM-1 gene are resistant to many antibiotics, and can transfer this gene to other bacteria through a process called horizontal gene transmission. NDM-1 has been established in Bangladesh since 2010 (Islam et al., 2012). The environment in Bangladesh is ideal for the rapid spread of AMR – high density populations; lack of clean drinking water; poor infrastructure for sanitation; and the availability of inexpensive antimicrobials from over the counter suppliers. Inadequate regulation of the release of antimicrobials into the environment through production and manufacturing processes adds further complexities to the pathways for the development and spread of resistance in the environment. These problems need addressing without delay. To explore the transmission of AMR between the outdoor environment and human and animal hosts we consider poultry as one of the key drivers of AMR selection through faecal shedding of AMR bacteria. The rapid expansion of commercial poultry farming in peri-urban areas carries risk due to the unregulated use of antibiotics in feed and for treatment and the absence of any regulation of waste disposal. Fresh food and poultry markets in Dhaka city are the largest outlets of commercial poultry, where a huge number of birds are slaughtered and processed on site every day with no regulated waste disposal system (UNICEF, 2014). Faecal waste produced in commercial farms and urban markets is mostly disposed into the environment through direct wash out (UNICEF, 2014). Exposure to arsenic through drinking water is a serious public health problem in Bangladesh. This concern is compounded by the fact that arsenic exposure may contribute to the development of antibiotic resistance in bacteria. Recent evidence from animal models and from wild bacteria in pristine environments has shown that microorganisms from extreme environments exposed to heavy metals, including arsenic, develop resistance mechanisms to these metals that simultaneously provide the microorganisms with resistance to antibiotics. Furthermore, exposure to high environmental concentrations of heavy metals has been shown to be sufficient to maintain multidrug resistance genes in clinically relevant opportunistic pathogens such as E. coli and K. pneumoniae. We want to find out if this happens in humans in areas where people are repeatedly exposed to arsenic through contaminated water. We have ideal conditions to do this study as we have areas with high level of ground water arsenic contamination and people have a regular exposure to this water. On the other hand, the rate of infectious diseases is very high and infection with MDR organisms is an overarching problem in the community. The availability of over-the-counter antibiotics for humans and animals, and a lack of compliance with standards among healthcare providers (including an array of unregulated or loosely regulated private providers), are significant contributors to the development of antibiotic resistance in Bangladesh and the wider South East Asia region. The development of antibiotic resistance in humans is also intimately linked with the use of antibiotics in animals. Understanding the behavior and priorities of these healthcare providers (HCPs), and the needs of consumers who use them is therefore central to developing an effective AMR strategy. There are many reasons why people seek antibiotic treatment, and the beliefs and meanings attached to antibiotics influence the way they are used. In rural Bangladesh, the same antibiotic providers are used for household livestock and poultry as well as humans. We are going to launch a new study to identify pathways to promote behavior change among practitioners, livestock owners, lay people/patients who use antibiotics. Using different approaches we will try to explore people’s beliefs and understanding of the role of antibiotics in curing ill health and to identify methods for improving prescribing practices whilst maintaining access. We will examine the household use of antibiotics holistically, including the use for animals as well as people through a one-health approach. These studies have been funded by the National Institute of Health (NIH), USA, Natural and Environmental Research Council (NERC) of UK, REACH program funding, UK and Economic and Social Research Council (ESRC) of UK. Dr Mohammad Aminul Islam, associate scientist at icddr,b is also a member of the WHO Advisory Group on Integrated Surveillance of Antimicrobial Resistance (WHO AGISAR).